Walking down the seasoning and spices isle at a grocery store, I noticed that I didn’t have a lot of the basic seasoning/spices that a kitchen should have. I spotted the rosemary and thyme and thought to myself to buy them first and then figure out what to do with them later. 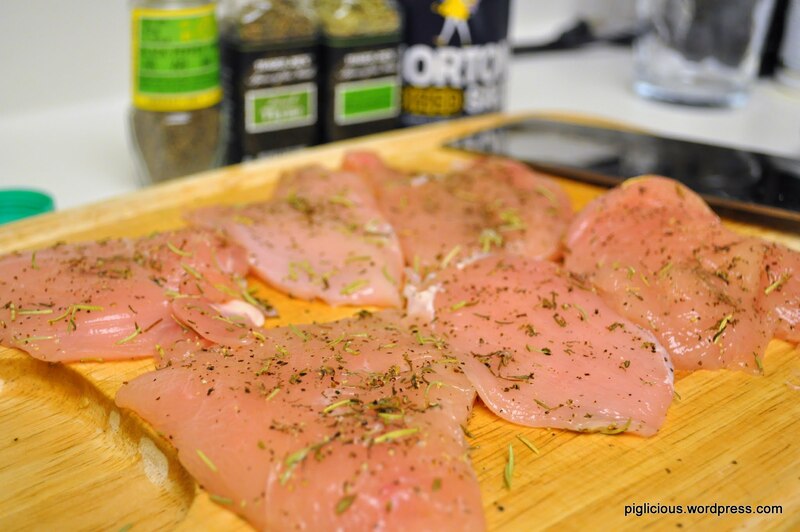 So these rosemary thyme chicken fillets were just a random, yet simple creation. Anyone can make them :) And what’s great is they can last me 3-4 meals. Season the fillets by first rubbing a thin layer of salt on both sides. Repeat. Rub in a thin layer of rosemary on both sides. Rub in some thyme (less than rosemary) on both sides. Rub in some black pepper (amount depends on how peppery you like it) on both sides. Then let it sit for about 30 mins. Place the pan on the stove and turn temperature to high. 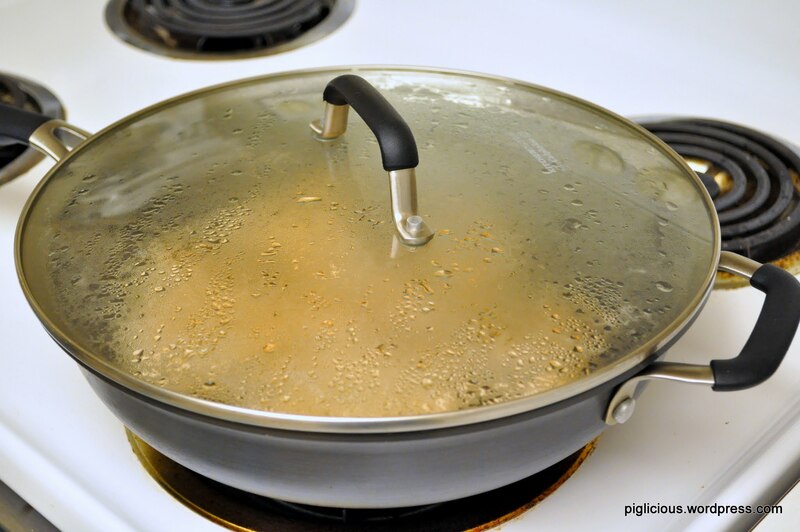 When the pan is hot, place about 1/2 tablespoon of oil in. When the oil is hot, place the chicken fillets in. 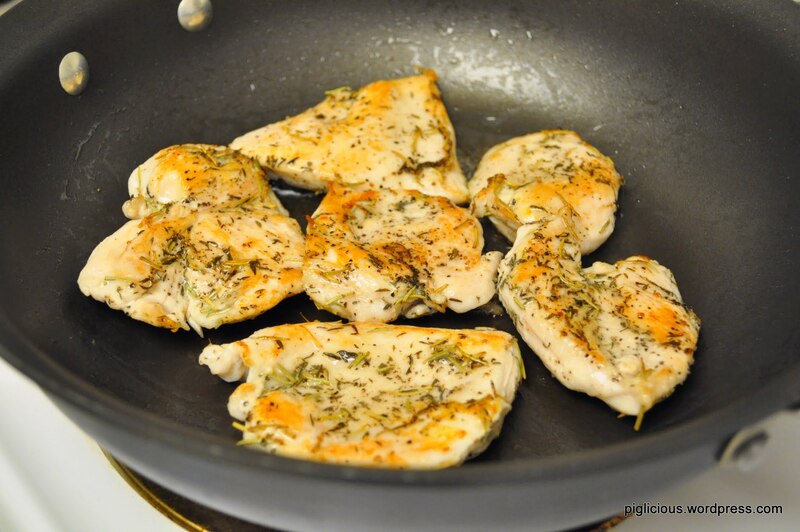 When the bottom side of the chicken turns to a nice golden brown, flip the fillets over. Let it cook for about 1 min. Turn the temperature down to medium. 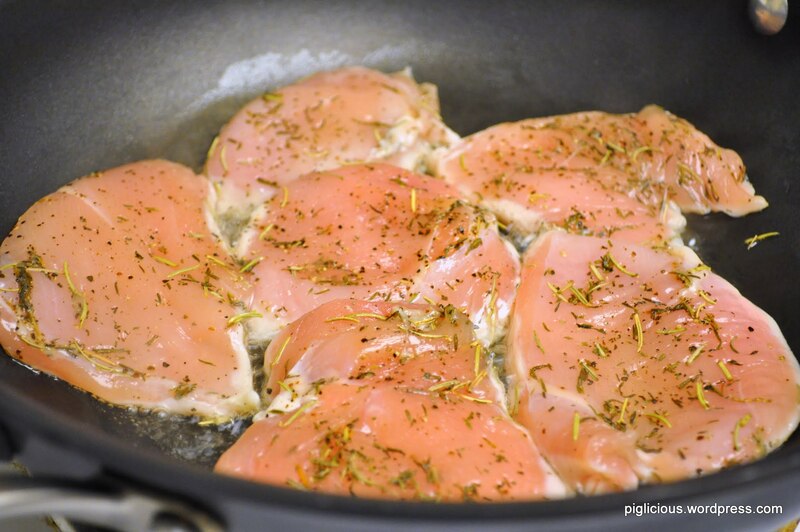 Place the cover on the pan (this will keep the fillets moist) and let it cook for another 5-7 mins. Check on it after about 2 mins. If the bottom side has become a golden brown-brown color, flip the fillets over again and place the cover back on. 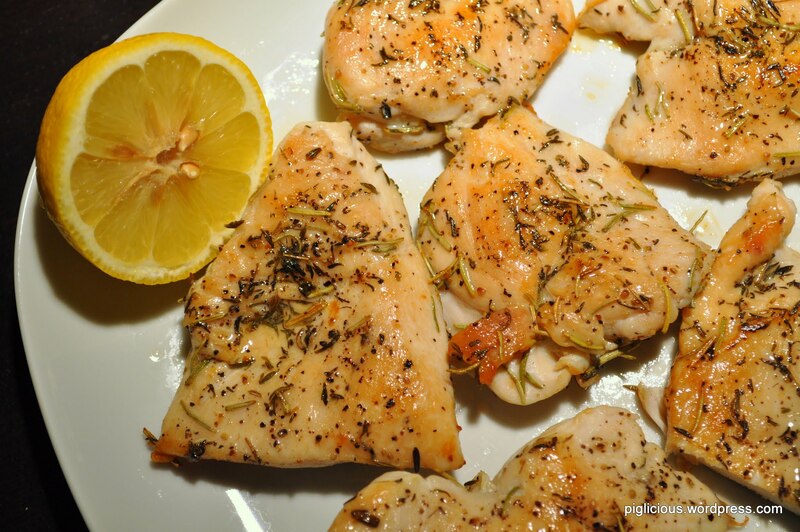 Once they’re thoroughly cooked and ready, transfer them to a plate and squeeze a little bit of lemon juice over them.